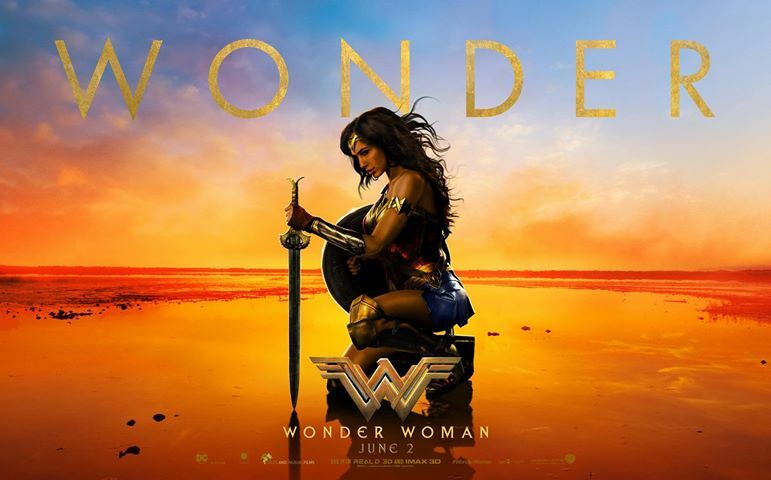 Novelist Kerry Nietz, Austin Gunderson, and E. Stephen Burnett explore Wonder Woman’s place in the DC super-film series. Fans who loved or disliked Man of Steel and Batman v Superman: Dawn of Justice are uniting in praise of the latest DC superhero film, Wonder Woman. 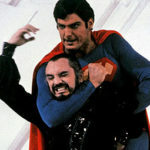 Now, E. Stephen Burnett, Austin Gunderson, and author Kerry Nietz reunite (from last year’s two-part article Badfan v Superman: Top Ten Movie Myths) to explore and compare the three super-films. Beware: we will spoil all of these films, including Wonder Woman. Do you all want to do this again, regarding why we liked Wonder Woman and how it actually fits into the DCEU’s existing plans? We an also touch on the idea of media trends and the dominant “these movies need to be Fixed” narrative. I consider Wonder Woman a worthy installment of the DECU. Though some clunkily-implemented plot devices kept it from attaining the polish of MoS/BvS, the thematic continuity with its predecessors is strong. The character arc of Diana Prince is in many ways a variation on Kal-El’s journey in Man of Steel: the reaction of a naive deity to the realities of human evil. Of course the circumstances are quite different this time around. For example, Diana chooses her exile rather than having it thrust upon her, and doesn’t get told by an adoptive father to conceal her true powers lest the world reject her), and as a result we get to enjoy the blatant Christianization of Ancient Greek mythology, a humorous fish-out-of-water narrative, and plenty of droll banter (I love banter!). One of the best plot-points was the film’s ultimate subversion of its black-and-white, evil-Germans-vs-good-Brits setup. This was huge for me, as I’d spent the majority of the film gritting my teeth at its two-dimensional portrayal of World War I as a struggle between normal people and demon-possessed Nazis. Little did I realize I was viewing the war through Diana’s inexperienced, idealistic eyes, and that she was about to get the conceptual rug yanked out from under her. It’s at the film’s climax, when Diana at last understands that unalloyed justice will require the eradication of the human race, that things get truly interesting. Yes, definitely a worthy installment, and doubtless the most linear plot-wise. 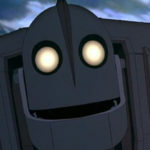 In fact, I remember thinking in the middle of the movie that it seemed to be hitting the plot beats near-flawlessly. I thought the actors were excellent and well-suited to their roles. I loved the nobleness of Diana’s character and the humbleness of Steve’s. Really liked the fish-out-of-water stuff in both directions. All and all, an enjoyable movie and a good introduction to the least familiar member of the DC triad. My biggest complaints with the movie—and this has often been a problem for superman too—is that the villain almost didn’t seem big enough, and that her path to stopping him didn’t seem clear enough. That was one thing BvS was superior in. The ultimate villain(s) were big and bad, and the way to stop them made sense in the context of the story. When the coup de grace happens, the audience should have that “ah ha, of course” moment. That didn’t really happen for me with Wonder Woman. Along with that—and probably part of that—was the lack of a clear theme. Despite their flaws, both BvS and MoS were clearer in that regard, I think. And the dialog was more quotable. Wonder Woman had a couple lines at pivotal times that sort of fell flat—for instance “It’s not about what you deserve, It’s about what you believe.” I know if I went back and watched again, I’d find the global context of that line, but in the movie I was like “that was a jumble of words that sound good, but ultimately have little meaning.” Like “up with people” and “good is great. And naturally, I’m with both of you here: I loved Wonder Woman, and plan to see it again in theaters. She’s an awesome hero, and indeed refreshing to behold. Posters promised she would offer “Power. Grace. Wisdom. Wonder.” And she did. The film is appropriately a little different from the first two DC Extended Universe (DCEU) films. But my early concerns that this would be the first DCEU film that tries to be “more like Marvel” (in a negative sense) were put to rest. Yes, there’s more “banter,” and a more balanced showcase of humanity. After all, Diana is raised in a functional “family,” not like her future super-allies Clark and Bruce, and Steve Trevor is a retro-hero. But instead of distracting from the narrative, these humorous moments enhanced the story and its heroes. Whereas such moments would have been out of place for the story(ies) the first two films wanted to tell. I disagree a little on Kerry’s view of our villain. Some folks found him underwhelming. (And we won’t give spoilers here!) Maybe an effect similar to the “Mandarin effect” (from Iron Man 3) is happening here. I found the twist fascinating, and in line with the film’s singular theme—which I also thought was beautifully pronounced. The theme helps answer the central question many people miss about the first two films: Who are true heroes, and how does a realistically beautiful yet cruel world respond to them? But Wonder Woman begins to answer that question. And at just the right time for many fans who wanted to enjoy the first two films, but couldn’t, or who simply did not understand their purposes. I liked the twist. I suspect part of his underwhelming nature has to do with lack of familiarity too. General Zod, Lex Luthor, and Doomsday are villains with street cred, so to speak. If they show up, they bring the weight of decades of badness with them. Wonder Woman’s villain didn’t have that, and isn’t easily defined by a flannelgraph rendering. 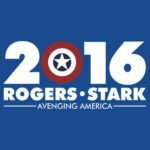 I fear the same might be true with Thanos in Avengers: Infinity War. In the comics he brought decades of badness. In the movies we’ve gotten lots of sitting and nodding at the camera. I would prefer it if I had a bit of trepidation of him before the movie started. Since my only criteria for a twist villain is that he/she/it be badder than the ostensible villain, Wonder Woman exceeded my expectations (while Iron Man 3 most certainly did not). This was due partly to Wonder Woman’s hackneyed lameness of the ostensible villain, and partly to the high value I place on intellectually-persuasive villainy. Despite some incongruous visuals and anachronistic personal grooming, the ultimate baddie in Wonder Woman is intimidating largely because he/she/it makes a concerted effort to suborn Diana in service to an environmentalist utopia. This appeal to justice is so strong, and so inarguable, that it forces her to rely on love as the moderating virtue, and to unite love with justice in the defense of humankind. Agreed. And when Ares begins to share his worldview, the story is moved from the usual superhero-movie effort at simpler villains, e.g. fighting family members or interpersonal conflicts. There’s a place for those kinds of stories. But it’s pretty clear the DCEU creators want to explore more ideological conflicts. Perhaps this is part is the reason why many fans (even those who otherwise like these films) get stuck on the motives and actions of General Zod, or Lex Luthor, or now Ares. Without “angry family member” or “vengeful enemy,” it takes more effort to understand these villains. Wonder Woman v ‘Batman v Superman’? 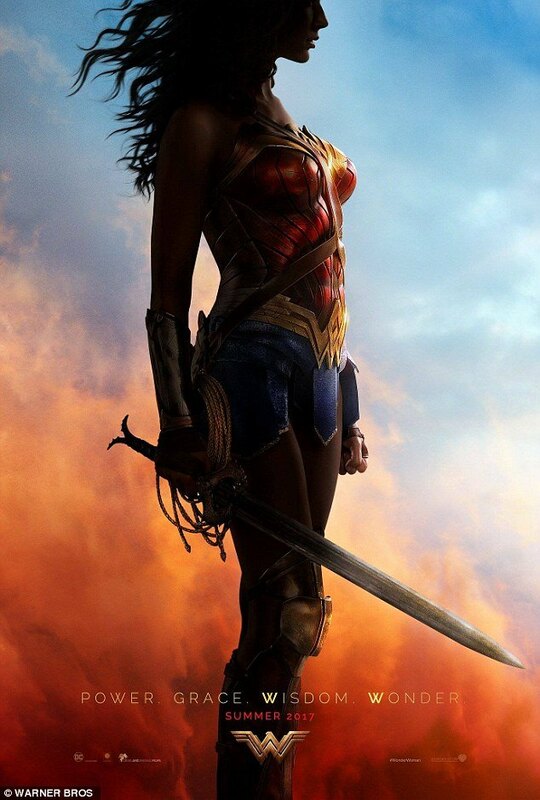 Man of Steel and Batman v Superman were controversial/terrible, but Wonder Woman is awesome. Wonder Woman the movie represents a “tonal shift” that all DCEU movies need to follow, or else people won’t like them. Wonder Woman, the virtuous and good heroine, is what we should have been seeing in Superman and Batman all along. What’s wrong with you, director Zack Snyder? Do you really hate fun? Hate Superman? Only want to show us grays and darks and suffering? The success and different tone of Wonder Woman is entirely isolated from the stories that came before, rather than part of a relatively cohesive creative vision (Snyder included!) that was put together before BvS even released. People would embrace Wonder Woman, the movie and its story, the same way had it not been preceded be those two more-challenging stories that helped reset expectations. Any initial reactions to the article’s notions and assumptions, or in others you’ve seen? I’ll start: this article assumes we should only get one type of linear, closed-loop superhero story. And I don’t understand why people seem to assume this is what they are supposed to want from this particular genre. And I don’t get why people assume these stories are not part of a cohesive meta-story. Like one great movie—or at least a super-version of several episodes of a prestige television drama. 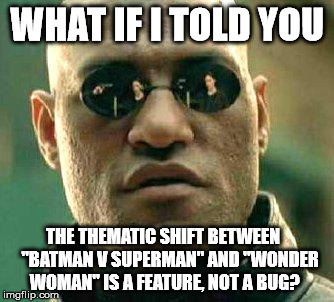 Folks, the Wonder Woman story difference with MoS and BvS is not a bug. It’s a feature! I don’t mind that they threw Suicide Squad under the bus. Yes, there’s another movie where they missed on the villain. If the Joker is in the movie, then somehow, he should end up being the big bad at the end. If we ignore for a moment the condescension dripping from this statement, we can see that it taps into truth. People are parochial. An interpersonal conflict or simple revenge story, for instance, carries no broader implications. It may be entertaining to watch, but its relevance is limited to the belligerents directly involved. Only when it starts making statements or drawing inferences about the broader human condition—i.e. discussing ideas—does it aspire to timelessness. And this is what the DCEU has been intent on doing. Excepting Suicide Squad—which I have no plans to see—the continuity of idea-based conflict runs seamlessly between films. This is a heavy thread that runs through all three films, though not every love relationship can feed off romantic tension and sexual chemistry like Diana’s flame for Steve. That’s the easy, the obvious link, the one that reviewers latch on to. When the connection is made through memory, through a distorted and idolized filial devotion that sees meaning even in something as ephemeral as a name (“Martha!”), a little more perceptual effort may be required of the viewer. But the idea is the same. Don’t get me started on revenge plots. I hate that all three Star Trek movies were revenge plots. While I realize there is a place for such plots, Star Trek isn’t it. Totally agree about Star Trek. For a property that’s historically been about ideas, even one revenge story was pushing it. Three in a row is proof the franchise no longer has any aspirations beyond a quick buck from the international market. The third one was about more than revenge, though. Our foe was a bit more ideological. Even Darwinian. It just took a while to learn this. Mm. I lost interest after Body-Swapped Wrath of Khan (i.e. Star Trek Into Darkness), and never saw it. The third new Trek film is definitely more about ideas, while still hosting pulse-pounding action moments. I was pleasantly surprised. And it’s all more meaningful for it. What did you all think of this reading from that Polygon article? Beginning with the alternate creation myth in which humanity is built in the image of a benevolent Zeus, Patty Jenkins’ film assumes that people are compassionate. Even the villains are afforded a relative degree of humanity. The German soldiers are not evil, but are merely under the influence of the manipulative God of War. People on both sides of the conflict are misguided yet noble, and Diana willingly defends her utopian vision of what humanity could be at its best instead of what it sinks to at its worst. Well … that’s part of it. But Ares makes it quite clear he wasn’t doing anything other than amplifying people’s preexistent inclinations. Diana recognizes the truth of this, but decides that Ares’ prescription — total justice via eradication of the human race — is worse than the disease. What Diana rejects is a utopian vision. Her compromise position is bittersweet. No longer under the delusion that people are bad only when prompted by Ares, she realizes that by siding with humanity she’s overlooking human sin. But she’d rather try to fix mankind than destroy it and start over. Exactly. And honestly, I think this writer’s and many other viewers’ preconceptions are so strong—that humans in the world are really, deep down, nice people—that we cannot fathom when a story begins to challenge this belief. So we call the story automatically “grimdark,” or “brooding,” or “cynical,” or mindlessly deconstructive, without paying attention to where the story is actually going. In this case the meta-story goes in a redemptive direction that actually feels earned for a change, rather than merely expected and demanded out of some sense of , well, potentially, geek-entitlement and/or instant gratification. One of the things that seems to get lost whenever one abandons the acknowledgement of human depravity is the concept of mercy—that is, of undeserved forbearance. Instead, one has to pretend that most people are made essentially good by their good intentions, and that no one—with arbitrarily-allocated exceptions—really deserves to die. And so in a case like this, typical reviewers must reinterpret what’s right in front of their noses in order to make Diana’s actions not about her compassion, but about the purported compassion of everyone else. This makes no sense, but it’s a small price to pay for moralistic therapeutic universalism, I guess. Here’s a question: Is Christ’s story grimdark? In some ways, absolutely. If you were looking at it from the perspective of the average Hebrew of his time, it was frighteningly grimdark. Here we have a man who lived on the outskirts of society, who obeyed the law of the land, who healed, fed and genuinely cared for people—did all the things that a “good” Hebrew was supposed to do—and was crucified for it! So looking at it from that perspective, without the meta-story, one could easily conclude that altruism doesn’t pay. Why would anyone do all those things? Why stand out? Why bother? Part 2 of Batman v Superman v Wonder Woman is coming next week soon, here on SpecFaith. It’s nice to read three obviously intelligent guys having an intelligent conversation about something (and I know Kerry and Stephen personally and know you are not just intelligent, but also nice and engaging guys), but I am going to play the role of party pooper a little bit. It’s painful to say that because her character is likable in her sincerity, in fact, perhaps beyond likable–some fans adore her. But this character is no super genius to put things mildly. What she figures out about human beings is actually pretty obvious and Ares has to spell it out for her before she gets it. She is sincere and we can say the movie is too as a whole, for the most part, anyway. That’s a refreshing change. The film is worth watching, but the superhero genre as a whole stirs up my resentment because I feel it steals oxygen from more worthy artistic endeavors. Sorry again to be Mr. Negative, but really I would like to see Speculative Faith talk less about superhero movies and talk more about other kinds of speculative films/books. Please. I loved the twist. The trailers did a great job not spoiling things. I was actually expecting Dr Poison to turn out to be an Amazonian so it was a nice surprise when the story did not go in that direction.